This post has been a long time coming. Almost 9 years now this May. So why write it now? In part, because we are STILL talking about it, and in part because Robert chose to make it part of his sermon intro this past Sunday. What am I talking about? The series finale of Lost. There has never really been a definitive summary nor examination of everything Lost offered its audience. It did things better than any of its contemporaries at the time, and consequently its failures were all the more condemnable. I’m not even going to pretend to be beyond correction when it comes to my interpretation of a show I feel like I only occasionally understood. So, without trying to be absolute in my estimation and critique, I want to toss my reflections into the fray of hotly debated reviews of the Lost series finale. Before I get to the finale though, let me say some of the things that I liked about this show as a whole. Lost made me think. It was hard to figure out. There is very little television like this today. 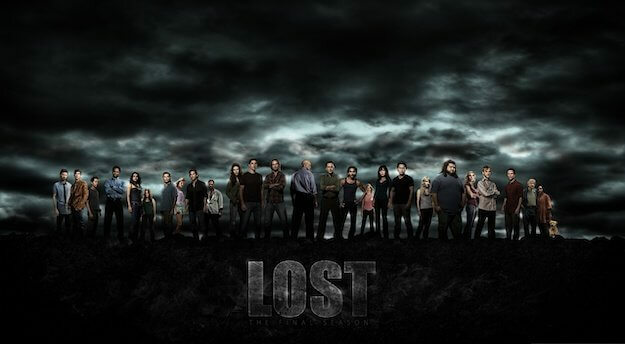 Even with all its flaws, Lost still defied the average night of TV and puzzled me, often with great delight. Lost reflected the occasional mysteriousness of life. The complicated, nebulous nature of Lost, intentional or not, is a great shadow for how sometimes there are things too big for us to totally understand. Take the Book of Job. When Job finally questions God regarding all the suffering he’s endured and demands an explanation, the only answer Job gets is, “Job, I’m God and you’re not. There’s going to be some stuff you just don’t understand” (King Shelby Version). So, were there unanswered questions in the Lost mythology? Yes. A pant load of unanswered questions that have kept some of us in indefinite agony; but life itself is like this, and while the show and its writers may have failed to give us answers they owe us, their failure serves to illustrate how often we must endure certain mysteries in our own lives with contentment and joy. Am I letting the writers off the hook a bit? Maybe. Do I think our need to have everything resolved and wrapped in a red bow sets the bar low for what we consume in our entertainment? Probably. Now on to the finale as it relates to what I like about the show in general. 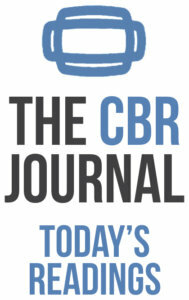 The common critique is that the finale provided ZERO resolution to the varied mythological storylines circling the show. I never felt that way about the finale. Instead, I was left with two big takeaways that put a definite period to the end of the series for me. People are more important than mythology. Show writers/producers Cuse and Lindelof told viewers for YEARS that the mythology of the show was going to take a back seat to the focus on character. The mythology was only a vehicle for transporting key characters from existential A to existential B, from being “Lost” to being “Found,” and, consequently, there were going to be unanswered questions. Since season 1, I wanted to see Jack’s redemption, to see him surrender and fulfill the implicit promises that the show made about our damaged “hero” doctor, and that’s what the finale did. Where it was going all along: Jack Shephard’s redemption. To be honest, I was a little shocked about who this show ended up redeeming. While a case can be made that almost everyone was redeemed in some fashion, I really had my hopes that the main protagonist would end up being Ben. Especially after that gut-wrenching episode earlier in season 6 entitled “Dr. Linus.” You can’t really talk about Lost without talking about the character of Ben. Over the course of the series, I had developed a soft spot for Ben. Don’t get me wrong, he had done terrible things, but he was also wounded deeply and early, and those wounds did not ever really heal. Ben was prone to lie, to manipulate, to treat others with contempt if they did not factor into his plans. Ben is cold and calculating. Ben represents the side of our nature we’d rather not think about. Ben represents fallen humanity. We are all a little bit like Ben. 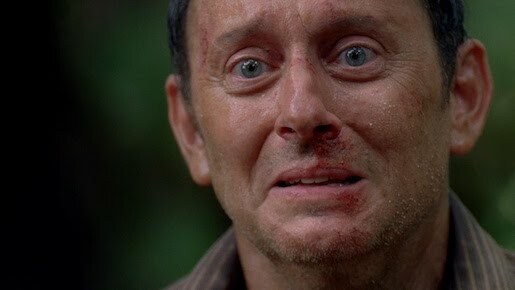 In that last season of Lost, my heart broke for that broken man, because I’m just like him. I’ve felt the same way about God that Ben Linus felt about Jacob: confused, frustrated, and desperate. Emotions swirling about, not sure which way is up. What Christian hasn’t felt this way at some point or another? We feel like we’re doing the right thing, and yet like David in the Psalms, we find ourselves angry; angry at God, and angry with ourselves for screwing up. And, we often stumble upon grace and redemption in the most unlikely places. However, in the end though, this was a show about Jack Shephard’s redemption, not Ben’s. This was a show about Jack giving up control of his own life, and sacrificing himself for something greater than himself. 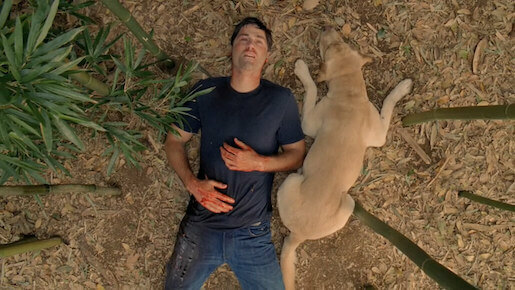 It was the story of the redemption of Jack Shephard, and in the end, everything became peripheral to that. Complain all you want about the Pan-religious, purgatorial nebu-LA, and the semi-universalism of their collective trip to the next life. The bottom line is that this show embraced the idea that people are important, people need to be redeemed, and people need intervention from on high in order to see it, believe it, and experience it. 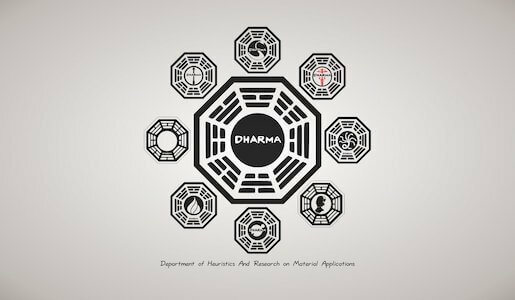 This is what Jack represented, and so he represents all the characters on the show and their collective need for intervention, redemption, and faith. In the end, Lost was a show that believed in grace. If Jack is the figure-head, and the representation of the human race, then in Jack we see a humanity desperately trying to earn peace, rescue, and redemption, and we see his white knuckled failure each time. I remember watching a special Jimmy Kimmel episode with the cast after the series finale, wherein he assessed (wrongly I think) that the show was about “Jack’s test.” He summarized his understanding of the Christian religion, and how Jack fits into that scheme, as a man being tested. Should Jack fail the test, he inherits judgment in hell. Should he pass the test, he inherits peace in heaven. Whether this was what the show was about or not, I wish I could tell Kimmel that’s not what Christianity is about. Christianity is not about, “be bad and go to hell, or be good and go to heaven.” Christianity is about how no man can earn heaven, and so God becomes a man and earns it for them, and I think Jack winds up illustrating this truth. Jack doesn’t earn his place. He gets there by faith, belief, and intervention. While Ben reminded me of the older brother, Jack reminds me of the prodigal son in Luke 15. Even when he comes to his senses, and runs home to his father, he still tries to pay his father back for all the wrong he’s done, still tries to earn his place at the table, but the father won’t hear it. He doesn’t even let the son finish his apology. He stops him, puts the ring on his finger, the robe on his back, and welcomes him home. Many people likened Jack Shepherd as a Christ figure. An island Messiah, a sacrificed savior. While that could have been the intention, and while I can definitely see the arguments for it, none of it ever stuck for me. Are there similarities to the sufferings of Christ, and the sufferings of Jack? I suppose, but they’re dim. Instead I prefer to think of Jack in the way that the apostle Paul talked about himself. Paul saw himself as a reflection of a greater reality, and a participant in that greater reality. That greater reality being the God-man Jesus Christ that earned Paul’s place in heaven, and gave it to him through sheer grace. Jack was a guy that, for nearly 6 seasons, was trying to earn his place at the table, and all his efforts resulted in the most screwed up, dysfunctional family supper ever. It’s not until he submits to the destiny that the island has chosen for him that he is freed from his junk. It’s not until he submits, surrenders, and believes in a greater reality that his heroics mean anything. This is probably why the unresolved, unsolved mysteries of the island never bugged me that much. Even the poorly defined, “light at the heart of the island that is supposed to make sense of everything but doesn’t” doesn’t really bother me. I don’t think it bothers me because I really enjoyed that Jack was redeemed, and that’s what I wanted to see since season 1. That’s what we ALL wanted to see! He finally lets go. He surrenders, and he gives his life for something bigger than himself. And yes, that something is poorly and vaguely defined. Yes, Cuse and Lindelof copped out with a “spiritualistic” answer rather than one my personal theology relates with, but frankly, I don’t expect non-Christian television to give me a Christian show. I simply expect it to give me some glimmers and shadows of the image of God in the creativity of mankind.